Intuit's Teacher Fellowship Program Student Exhibition will showcase participants in the 2017-2018 Teacher Fellowship Program. Inspired by self-taught and outsider art, students transform found and non-traditional materials into art pieces that reflect their personal visions. Join us for a free, family-friendly opening reception on May 19. The Teacher Fellowship Program is Intuit's award-winning professional development program for teachers from Chicago Public Schools that reaches more than 600 students across Chicago annually. The core value of the program is enabling teachers to give their students an opportunity to translate their personal vision to art-making using non-traditional materials in a non-judgmental environment: Each person has creative potential. 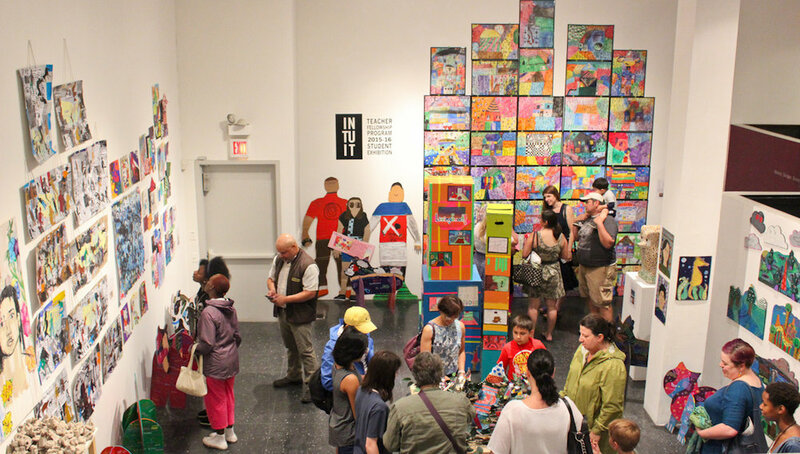 By participating in the program, teachers collaborate with colleagues on a lesson plan to help their students integrate the characteristics of outsider art into cross-disciplinary arts learning. Intuit's Teacher Fellowship Program is sponsored in part by generous grants from Crown Family Philanthropies, Polk Bros Foundation and Terra Foundation for American Art.